Well, 2016 is here and your holiday hangover should be just clearing up. 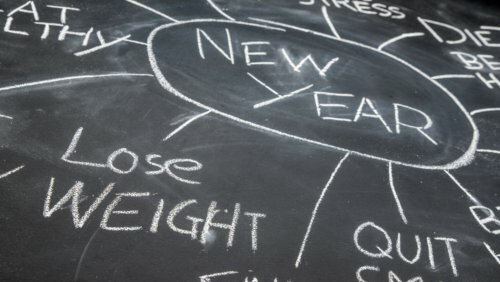 You may have jumped on your New Year’s resolutions a few days ago (admirably so), or you may have waited until today to start executing your plans (like me)—either way, I’m going to give you tips on how you can successfully stick to your healthy New Year’s resolutions and enjoy a productive, healthful life in 2016. New Year’s resolutions are tough to maintain (any kind of change is) and those regarding your health can be even more difficult. Getting more exercise, eating better, or looking into natural forms of treatment are all time-consuming tasks and could be a real deviation from the way you’ve been living up until now. Adopting a new outlook and a new lifestyle doesn’t happen overnight and it can be a struggle—but it can also be a great success. Over the years I’ve failed and succeeded with New Year’s resolutions, and I’m sure you can relate. It’s so easy to bite off more than you can chew or stray from your plans because life—as it so often does—gets in the way. Over the last few years, however, I’ve found more success in achieving my healthy resolution goals. A few years ago I decided—like millions of others—that I wanted to drop a few pounds. Now, I knew the basics of what to do, but my struggle was in knowing how to do it. So I came up with a plan by talking to professionals. First off I talked to a dietician who could help me understand food and make my diet more focused. She told me what I should be eating (i.e. more whole grains, vegetables, fruits, healthy fats, and lean proteins), why I should eat them, and how to identify good and bad foods. Some of her recommendations were to shop around the perimeter of the grocery store, buy as few packaged foods as possible, cook in bulk, and pack snacks and meals to take to work every day. Understanding and planning was essential in reaching my goals, as was coming up with a sustainable plan. I was able to make weekly losses at a sustainable pace—one to two pounds per week—and have been able to keep the weight off, which has led to overall improved health. Sticking to a resolution that involves living a healthier lifestyle can also seem tedious. But if you want to succeed, you’ll want to give yourself some freedom. This is another valuable lesson I’ve learned. If your resolution is to get more exercise, it doesn’t mean you have to put your life on hold so you can spend two hours swimming every day. If you have to miss an exercise session one day, or cut it short, that’s okay; it doesn’t mean your plan is derailed. Get up the next day and get back at it. Create a schedule that you can stick to, and try to fit in two to three exercise sessions per week. You might feel like you can do more, but I’ve learned that progression and starting slow are key to sustainability. Too often people start out too fast and come crashing down. When I started running, for example, I started out too fast, burnt out, and went back to the drawing board. When I got back into it, I eased my way in so I could make sustainable progress—and years later it’s still a big part of my life. I’d call that a big success! I wish you all the best with your New Year’s resolution and hope these tips that worked for me can help 2016 be your happiest and healthiest yet!